Reservations requested through our website are subject to confirmation by us. The confirmation is sent to the email address provided by the client. Reservations are by classes or groups of vehicles, not by brands or models. The cancellation of the reservation is allowed and the amount paid will be refunded provided it is made at least 30 days before the date of delivery of the vehicle, except in cases of force majeure that must be communicated 48 hours before the delivery of the vehicle, but it must be accredited. Changes or modifications we can make without cost as long as we have the possibility to meet your new date and time requested and are within the grace period. Remove the vehicle from Menorca. Smoking inside the vehicle, if you have smoked inside the vehicle, a supplement of € 50 will be charged for the complete cleaning of the vehicle. The minimum age required is 23 years old and with a driving license of at least 2 years old. For drivers under 27 years old, a single charge per young driver of € 5 per rental day, maximum € 50 applies. Mandatory insurance with civil responsibility. Additional driver free, as long as it is included in this contract. Comprehensive insurance without excess, and total coverage included with exceptions as long as the client complies with what is stated in the following section. Accidents in which the client does not deliver the duly completed and signed part by both parties or police report (within the first 48 hours of the event) in case of not knowing the opposite party. Damage caused on the underside of vehicles, heel pockets. Damage caused by reckless driving or under the influence of alcohol or other drugs. Fines and traffic sanctions + cost per management. Damages chairs or elevators for children. If you find your vehicle damaged during the rental, remember that you must bring back the damaged part or the report to the police to be exempt from any responsibility. Blows to tires or broken tires out of the damages caused by an accident having an opponent with a friendly part. Payment is made by credit card (only VISA and MASTERCARD are accepted). The card with which the payment will be made must belong to one of the occupants of the vehicle even if it is not the driver or if he has not paid the rent completely 40 days before the delivery of the vehicle. You can pay by debit card or cash. In case of cash a deposit of € 200 will be made until the return of the car once verified that the possible damages caused are not excluded by the insurance coverage will be reimbursed. It is necessary to leave the data of a credit card, or debit card although there is no collection or retention in it would only be made in case of damages caused according to the insurance exceptions. At the time of delivery, a visual inspection of the state of the same shall be made, stating the deficiencies that may be observed, to the parties excluded from the insurance. We will proceed to collect the rent, fuel and extras that could be hired. Airport delivery schedule from May 01 to October 15 from 07 to 22 hours (out of hours supplement of € 30). In this period the cars are delivered to the airport Parking P1 meeting point. Airport delivery schedule from October 16 to April 30 from 08 to 20 hours (out of hours supplement of € 30). In this period we pick up the client at the airport and take him to the office where we deliver the car. Distance from the airport to the office 2.5 km. Deliveries in hotels, holiday apartments or ports the supplement will be the one that appears in the drop-down of the places of delivery and return. Airport parking fee the customer will pay the same, at an approximate cost of € 1 to € 2 depending on the time agreed in the pick up time and the withdrawal, in case of an excess the difference will be assumed by the company. At the time of the return, a visual inspection will be made of the state of the same, to verify that it is in the same conditions that it was delivered. Airport return schedule from May 1 to October 15 from 07 to 22 hours (outside extra hour of € 30). Schedule of return airport from October 16 to April 30 from 08 to 20 hours (outside extra hour of € 30). Vehicles that are returned with extreme dirt will have a supplement of € 30. 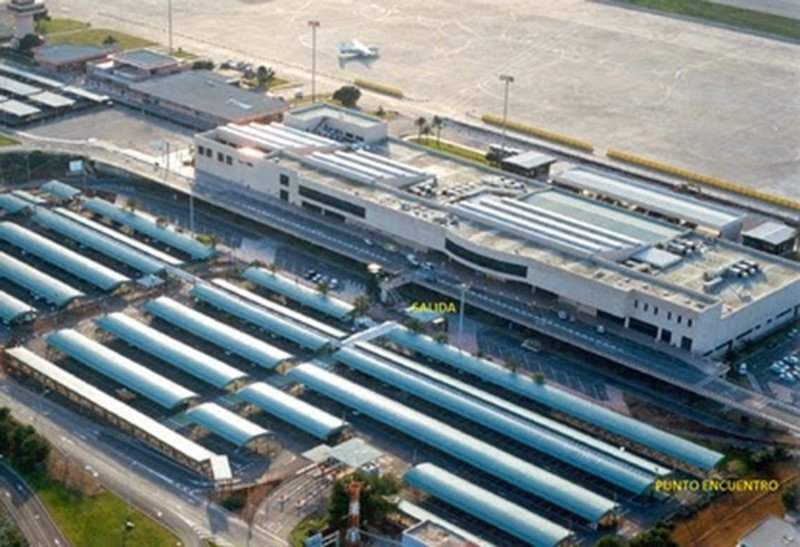 The payment of the airport parking fee will be made by the company, provided that the vehicle is returned within the agreed time, with a margin of less than 30 minutes, the time out of this period will be paid by the customer. The vehicles are delivered full and returned full charged € 80, the return of the vehicle is returned the amount charged to verify that it has the same fuel with which it was delivered. Otherwise, the missing fuel will be charged plus a fee of € 15 per refueling. Chairs and Elevators: € 4 per day each, with a maximum of € 70 per rental. Additional driver at no additional cost, as long as it is included in the contract. Young driver: € 5 per day rent (under 27 years, over 23). Damage Management Expenses: € 25 per management. Fines Management Expenses: € 25 per management. Delivery schedule at the airport from May 01 to October 15 from 07 to 22 hours (outside hours supplement of € 30). Delivery schedule at the airport from October 16 to April 30 from 08 to 20 hours (outside of extra hours of € 30). 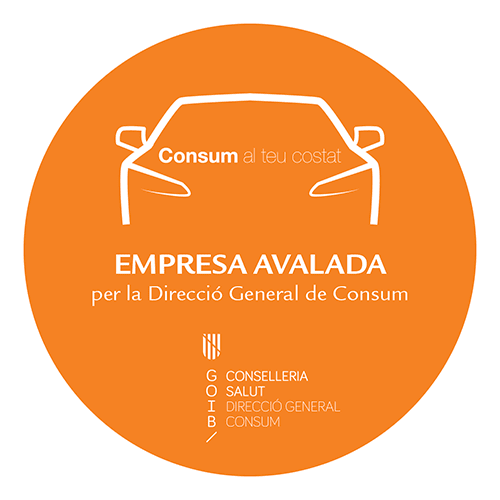 Deliveries and returns in hotels, holiday apartments or port of Ciutadella the supplement will be agreed between the parties depending on the distances (Delivery). Assistance service for negligence of the client up to € 50, depending on the distance. For example the displacement in case of loss of keys, adding it to the value of the lost or unused key. The client can go through the office at airport time to pick up the copy or request the transfer of the car with assistance.